An evil genius never walks away from a challenge, not even if it's a robot! So you just rolled out of bed...You gotta run to the grocery store, but what do u wear? I know, the same thing you had on yesterday! The shirt that makes people say "Awwwwww......so CUTE!!!" Are they talking about you or the puppy? Start to make a shirt by selecting a shirt product first. Shirt Station has hundreds of different shirt styles to choose from for men, women, and kids! We even have different accessories like phone cases, pet clothing, bags, and much more for you to style. 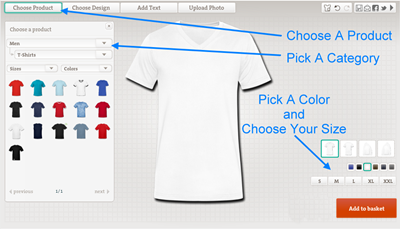 After you select a product, you will then pick a color and size for your shirt. 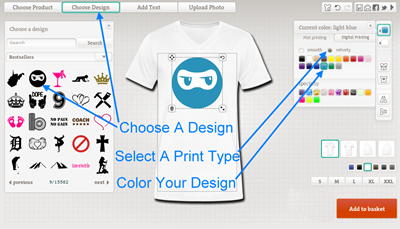 After you have chosen a shirt style and color, you can start adding designs to personalize your custom shirt! Choose from 1000's of customizable designs! Picking a design color, then choose what type of print type for your design. You can choose a print that goes well with your shirt's style. Choose from an elastic type of feel, an inked in print, or even a nice felt velvet.  Then you can move and resize the design to your desired results. Want to use your own photo or shirt design? We have that option for you too! 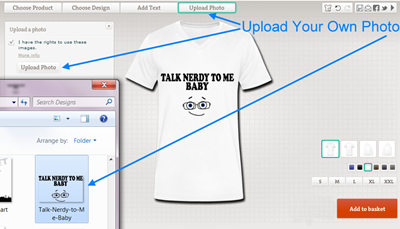 Just choose upload photo from the shirt designer and upload you own photo or design right form your own computer! 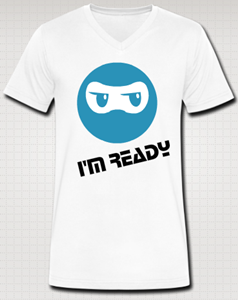 Once uploaded, you can choose where you want the design on shirt. This allows you to make shirts for special events like family reunions, bachelor/bachelorette parties, and sports teams! 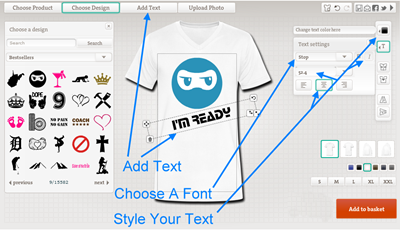 If adding your own design wasn't enough... you can also add your own text to the shirt with the custom text editor! Type in your own text, choose a font type, then style your personalized text with color, size, italics, bolds, and alignments. This online shirt designer has everything you need to make an awesome shirt! 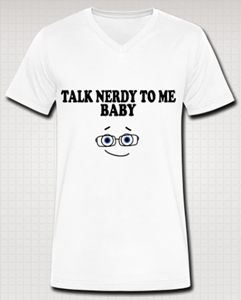 Now that you have completely customized your shirt.... we start preparations for individually making your shirt. Every order is custom and special, so we make sure to take care so that we can produce the highest quality shirt possible for you!